The Newcastle Rheumatology Practice aims to provide the best available private medical care for any rheumatological problem. Whatever your condition from troublesome backache to the potentially life threatening complications of connective tissue disease many symptoms can be managed in a visit or two. Others, such as rheumatoid arthritis, may entail long-term advice and careful supervision of complex therapies where continuity of care is particularly valued. We are here to help; whether you require an urgent appointment, a quick response to an email query or advice over the phone. The Newcastle Rheumatology Practice offers appointments, on referral from your GP, at Nuffield Health Hospital. Appointments are routinely available on Fridays and Saturdays, and at other times by arrangement. Michael Lambert has over 30 years experience in rheumatology. He has busy consultant practices in both the NHS and private sectors. On graduation from the University of Newcastle upon Tyne in 1983 he trained in general medicine and rheumatology at the University of Edinburgh and the Royal National Hospital for Rheumatic Diseases in Bath. Following an MD thesis on medical therapy for rheumatoid arthritis, his clinical and research interests have continued to focus on new biologic therapies for inflammatory joint disease, particularly rheumatoid arthritis and ankylosing spondylitis. 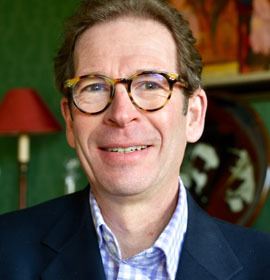 Dr Lambert is a GMC accredited specialist rheumatologist, a Fellow of the Royal College of Physicians of Edinburgh, an honorary clinical senior lecturer in the University of Edinburgh and medical director of the Newcastle Rheumatology Practice. The Newcastle Rheumatology Practice is recognised by all major health insurers- BUPA, AXA PPP, Standard Life, AVIVA, WPA, Simply Health etc and we will invoice your insurance company directly for settlement of your account. We are happy to accept uninsured patients who may settle their account directly with us by cheque or credit card. We will always give an indication of the likely cost of any treatment that we offer and you are welcome to discuss this with us prior to your initial appointment. Bus: Bus - 31, Bus - 38, Bus - 57. For appointments with Dr Lambert at the Newcastle Rheumatology Practice book directly with the Newcastle Nuffield Hospital. To make an appointment call 0191 281 6131.